Dozens of volunteers gathered at Hewlett Lodge to celebrate 2018 volunteers and their contributions to the CRNRA. Volunteer of the Year honors were shared by Frank Bridges who contributed over 1,300 hours in multiple CRNRA units and Alex Hinerfeld, who created the Volunteers in Parks website. 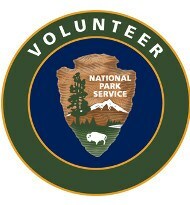 The website provides a central location to record volunteer hours and resources to support volunteer efforts. Bob and Kerstin Bagus were thanked for donating the volunteer Equipment Locker located in the Johnson Ferry North parking lot. Superintendent Cox shared startling facts about Chat volunteers’ dedication. In the Southeast Region, which includes Great Smoky Mountains National Park and Everglades National Park, CRNRA volunteers came in fourth in the number of hours donated. The dollar equivalent of the 40,000+ hours logged in 2018 is $1 million. Thank you to Dave Thomas, CRNRA Volunteer Coordinator, who inspires us to “Find Your Park” at the Chattahoochee River National Recreation Area.